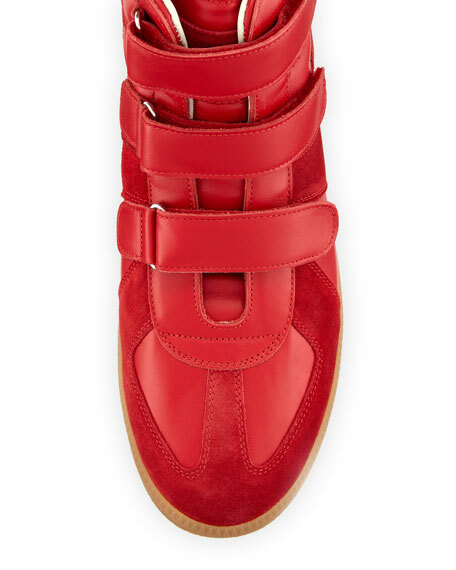 Maison Margiela high-top sneaker in calf leather with tonal suede trim. Three grip straps across vamp and ankle. Tonal suede label at tongue. For in-store inquiries, use sku #2128519.